Want to know if buying health insurance makes sense with pre-existing conditions? Confused why your health insurance claims get rejected randomly? All of these questions and many more answered right here! what exactly is a pre-existing condition? 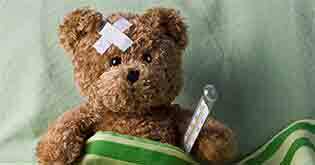 What is a Pre-Existing Illness? Existing diseases and conditions including the signs/symptoms that the policyholder has acquired or is suffering from. Prior hospitalization and surgeries. Let us understand the statement above with an example. Some years ago, one of my good friends, bought a health insurance policy for her mother from a well-known general insurance company. At the time of filling up the form, when asked about the presence or absence of any pre-existing disease, my friend interpreted pre-existing illness as ‘an illness or condition that her mother might have at the time of buying a policy’. Her mother did not have any illness at the time she bought the policy and so she declared absence of any pre-existing disease. However, after a period of 2 years when her mother’s accident was claimed, the claim was rejected and the reason stated by the insurance company was ‘non-declaration of pre-existing illness’. Why did this happen? Is it because the insurance company was cheating? Or had my friend lied to the company? Ironically, it was neither that my friend was lying nor was it that the insurance company was cheating. The only reason why this happened is because the term pre-existing had a deeper meaning which my friend had not correctly understood. Then, What Exactly is A Pre-Existing Condition? Medical history of illness: History of heart attack, gestational diabetes, etc. Hospitalization history: Hospitalization in case of angioplasty, kidney stone, etc. Signs: Increase in sugar level, obesity, etc. Symptoms: Having brain fog, feeling sweaty, etc. Medication for any disease or illness: Hypertension medication, diabetes medication, etc. Skin disorder: Psoriasis, Vitiligo, etc. Major accidental injury: Head injury, having prosthetic limb, etc. Diagnosed illnesses: Diabetes, hypertension, etc. that you have or had before or at the time of buying a policy. She (the mother) was healthy at the time of buying the policy i.e. she neither had any illnesses nor disorders at the time of buying a policy (person with completely normal test report). However, she was under medications for blood pressure. Eventually, it meant that her blood pressure was regulated by external medication which she failed to mention. Because of this her claim for something unrelated, in this case, the accident, was rejected. This article talks about some common question about pre-existing illnesses and how they impact your medical insurance policy. How Does Pre-Existing Illness Impact Your Coverage? 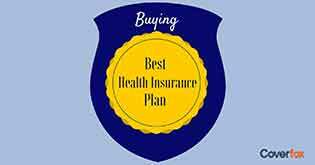 Buying a health insurance policy after having a pre-existing disease may be slightly difficult, because the insurance companies are reluctant to cover individuals with pre-existing conditions. It holds true not only for health insurance but also for the life insurance policies. This is because individuals who already have health problems have a higher chance of recurrent claims in the immediate to near future. You will be charged higher premium in case you have any ailment at the time of buying a policy. This is known as premium loading. Because of this premium loading, you will be charged higher premium than any other person of the same age but without any ailment. E.g. In case you have hypertension as pre-existing, your premium would be higher than any other person of same age because of premium loading. Note: It is only at the time of buying the policy that an insurance company can load your premium based on your pre-existing. However, as per Insurance Regulatory and Development Authority (IRDA) mandate, no insurance company can load its customer for any disease that occurs after issuing the policy and renewing it without any break. 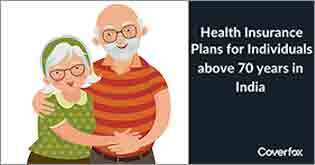 You would have a waiting period from minimum 2 to 4 years only after which your pre-existing ailments would be covered, depending on the plan you buy. E.g. If you state appendicitis as pre-existing and your policy has a waiting period of 2 years. Then, you expenses for appendicitis would be covered only after policy renewal for the third year. You may have both premium loading and waiting period. E.g. Consider that you have hypertension as pre-existing and your policy had waiting period of 4 years. Then, you will have higher premium than any other person of same age because of premium loading. Also, your expenses for hypertension or related ailment would be covered only after policy renewal for the 5th year. If you have a pre-existing diseases there are possibilities that you might have a medical check-up based on which the insurance company would decide whether to issue you a policy or not. E.g. In case you have diabetes, your sugar control would be checked before issuing a policy. 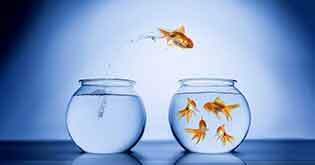 Sometimes considering your pre-existing ailment severe, the insurance company might offer you cover only if you agree on a permanent exclusion for this disease. This might leave you exposed to high risk and heavy expenses in spite of having insurance. E.g. In case you have diabetes insurance company would permanently exclude diabetes and related illnesses. If in case your pre-existing is chronic and severe like high diabetes, a medical history of heart attack, cancer, etc. Then, the Insurance Company has the right to deny providing or issuing a policy to you. E.g. In case you have a history of heart attack insurance company would deny issuing policy to you. If you have had a healthy life so far but have a lifestyle habit such as smoking, drinking moderate to heavily, etc. which can make you susceptible to serious ailments in the future, in such cases as well you may be charged a higher premium. 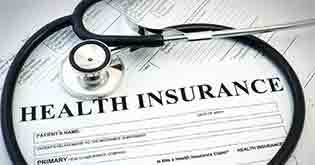 How Can One Buy a Health Insurance for their Parents Who have a Pre-Existing Illness? The process of buying a health insurance for your parents with Pre-Existing Illness is simple, you purchase the policy and pay the premium. The tough part is the evaluation which follows thereafter. Post premium payment, the insurer will evaluate the application of your parents based on the past declarations and age. The evaluation is made by a team of underwriters and your parents may have to take a medical check-up to reinstate their level of current fitness. Based on the results of the mentioned factors above, the insurance company will decide to issue a policy. In case you have made multiple declarations in the past with respect to a critical illness, the insurance company is most likely to reject your claim. To get the above benefits the most basic thing that you need to do is to state clearly about your pre-existing disease at the time of buying a policy. This will ensure that you know the terms and conditions. It gives you a choice to agree or disagree with those terms and conditions. 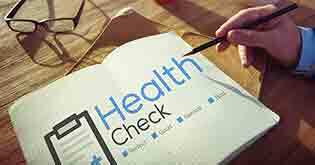 Before buying a policy you can always have a voluntary health check-up done. This will help you in case you suspect of having any illnesses. This will eliminate any doubts and help you get a clear policy. This is a very common doubt amongst individuals while buying a policy. Well, there are serious consequences of it. There is a very high chance that the insurance company would find out about your pre-existing disease at the time you make a claim, through the kind of illness and medical history recorded by your doctor. Then, irrespective of claim being for related or non related ailment, like in the case we mentioned earlier, the company has full rights to deny the claim. A more serious consequence of hiding the existing pre-existing illness is that an insurance company may terminate or abort the policy contract with you forever. Without refunding the premium that you paid. To ensure that your health insurance gives you adequate cover do not hide any ailment and clearly declare them before buying the policy. This will ensure that you have a clean settlement process for all your future claims. Wish you the best of health, now and forever! Is it worth buying health insurance with waiting period/exclusions? After knowing all of the above terms and conditions the most basic doubt would be if you would have any benefits of buying insurance after getting any ailment. The answer is still a resounding YES! You will still have benefits of having a policy. How can I go about buying a policy with pre-existing diseases? Because in spite of the terms and conditions involved with pre-existing all the other ailments non-related ailments would be covered up to sum insured. Thus, you will get the full coverage for other hospitalization costs. Along with these your pre-existing would also be covered after the policy’s stated waiting period is over. Will congenital diseases fall under pre-existing diseases? No. Congenital is the term used for diseases or physical abnormality that you have from your birth or which develops during neonatal stage of your life. Most common are congenital heart defects. The insurance companies differentiate congenital diseases from pre-existing diseases while giving you a policy. With pre-existing conditions the chances of policy being rejected are lower than congenital diseases. Congenital conditions are permanently excluded by most of the policies. There may be a case where you have a congenital ailment, then, the insurance company may not give you a cover or chances of rejection increases. What does Pre-Existing medical condition mean? Diagnosed illnesses: Diabetes, hypertension, etc. that you have or had before or at the time of buying a policy. Coming back to the reason why my friend's mother's Claim Was Rejected - She (the mother) was healthy at the time of buying the policy i.e. she neither had any illnesses or disorders at the time of buying a policy (person with completely normal test report). However, she was under medications for blood pressure. Eventually, it meant that her blood pressure was regulated by external medication which she failed to mention. Because of this her claim for something unrelated, in this case, the accident, was rejected. 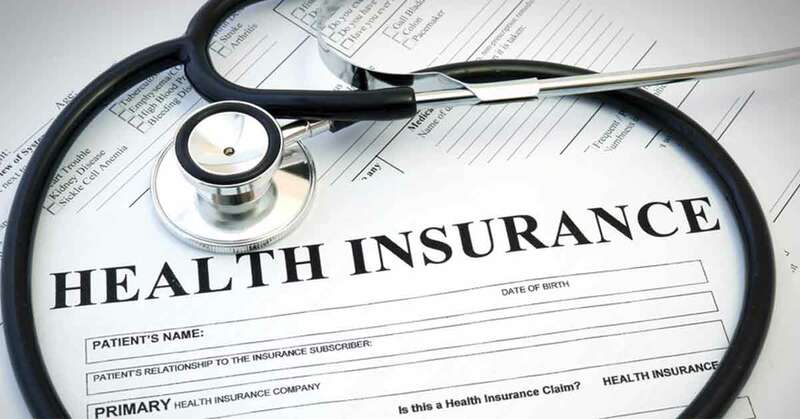 A health insurance company is less likely to issue a policy to an individual with lots of pre-existing conditions as these individuals are in greater need of medical cover which thereby increases the financial risk of the insurance company. Is there any health insurance that covers pre-existing conditions in India? Yes, all health insurance companies provide policies which cover Pre-Existing conditions in India. This cover is not given immediately, all health policies come with a waiting period under ‘exclusions’ for any given pre-existing medical condition. This period varies from policy to policy. Under this period, any visit made to the doctor, hospitalization expenses, and medical care treatment bills will not be covered for these pre-existing conditions as per the policy. Is heart attack a Pre-Existing condition? No, it is not a Pre-Existing condition as such an incident is unforeseen and can occur to any individual/child at any given stage of life. But, if you have been a patient of heart related ailments for a period of time and are prone to heart-attacks, provided there is written medical record/previous incidents and hospitalizations or undergoing treatment related to the heart, then, it will be declared as a pre-existing condition. Is anxiety a Pre-Existing medical condition? Yes, anxiety is a mental disorder which increase the level of stressors with respect to any functional organ of the body. Anxiety itself is a major but indirect cause of serious mental as well as physical illnesses. Does a Pre-Existing condition have to be diagnosed? Yes, you should never hide a Pre-Existing medical condition at the time of purchasing a health insurance policy. The best way is to undergo a medical check-up and get a complete picture of your health report. Failure to inform about Pre-Existing conditions to the health insurance provider can lead to claim rejection.